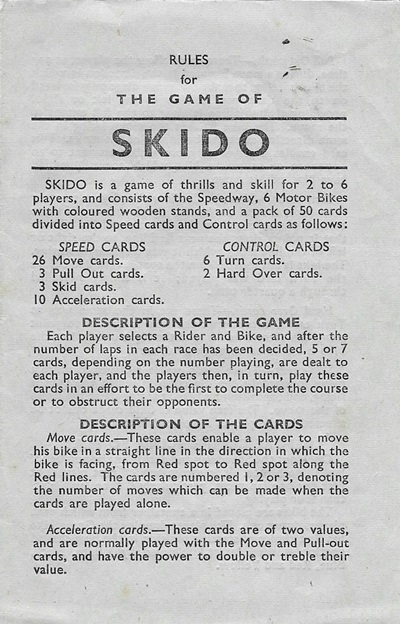 Many a speedway fan will have spent some of the festive season playing the new Speedway Grand Prix 15 game. 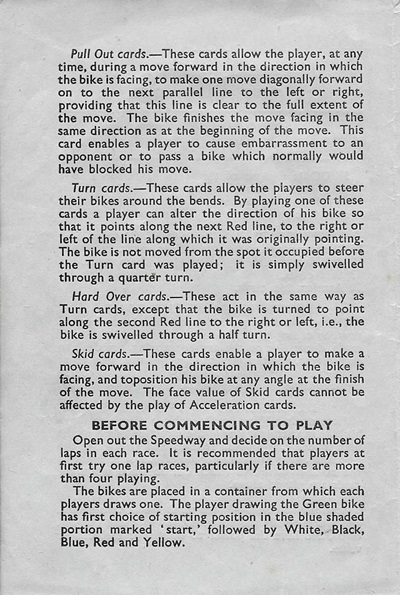 Things were a little different back in 1952 when it was more difficult to replicate the thrill of speedway racing from the comfort of your own home. 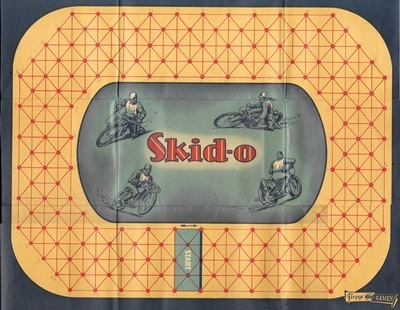 That didn't stop people from trying, either by playing speedway subbuteo or reaching for a board game such as 'Skid-O'. 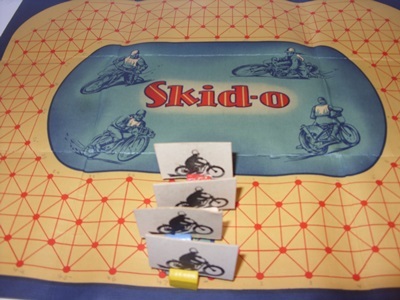 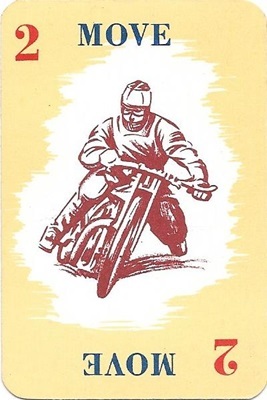 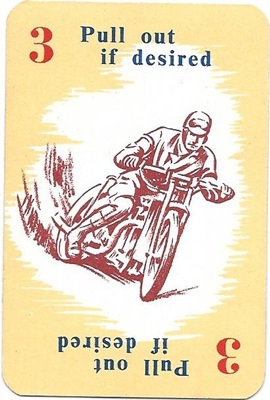 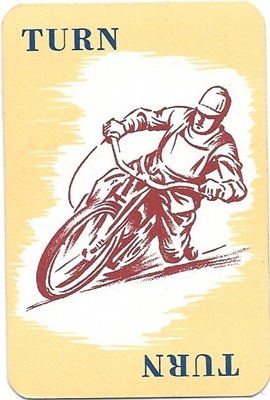 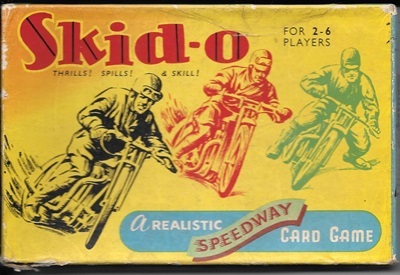 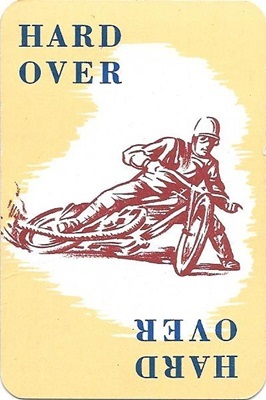 Skid-O was issued by Pepys Games and consisted of a fold-out speedway track, some cardboard riders slotted into a wooden base and a pack of 50 cards. 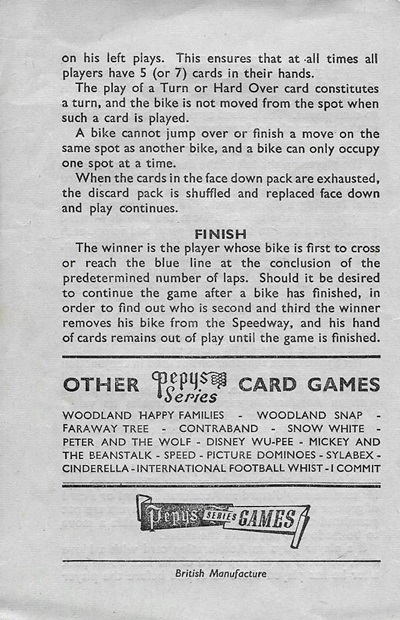 The cards were distributed between the players and 'played' judiciously to ensure quick progress around the track for an agreed number of laps. 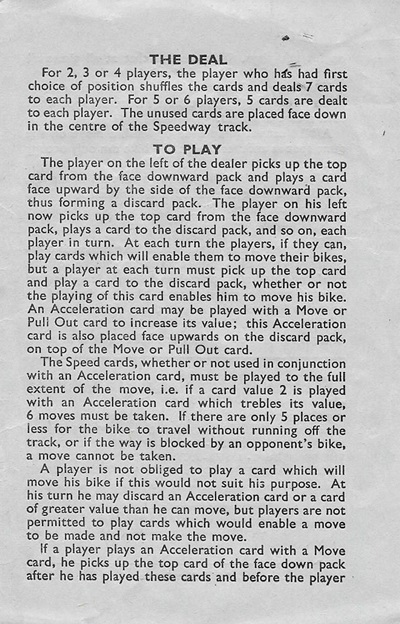 Here are some pictures of the board, riders, cards and the full details of the rules. 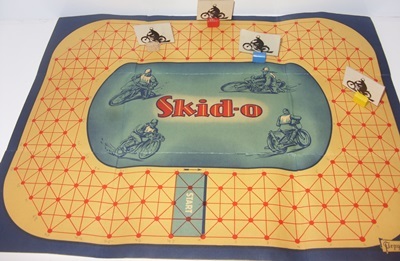 Get in touch if this brings back memories of happy family evenings in front of the fire. 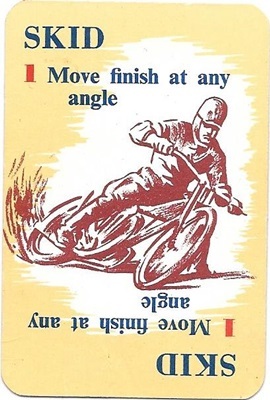 "Thank you so much for writing this and posting up the rules. 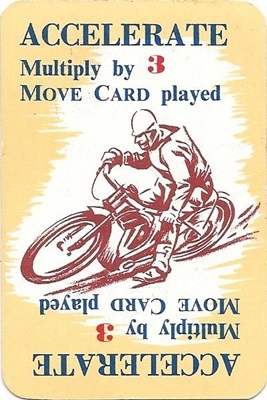 I have my Dad's copy of this, but the rules were mislaid many years ago - although I remembered mostly how to play it. "